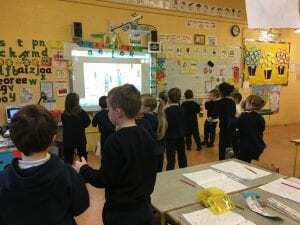 In St. Margaret’s N.S. we focus on achieving 60 minutes of exercise a day. 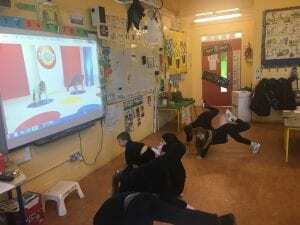 Every class incorporates short physical activity breaks into their daily routine to help our brains to work to their optimum. 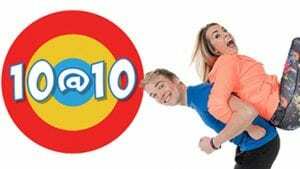 We do activities like Go Noodle, workout exercises and 10@10. 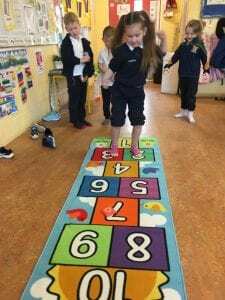 It is school policy that on the days when children are unable to play outdoors that every classroom teacher will incorporate an extended classroom-based physical activity break into the school day. 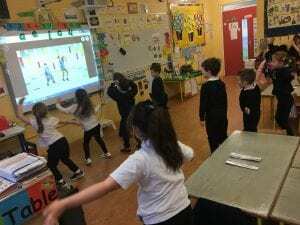 Go Noodle helps us with our coordination, body awareness and gross motor skills. Click here to access Go Noodle at home. 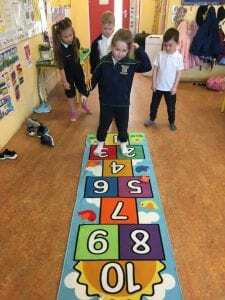 Exercise and movement is incorporated into Maths lessons and across other areas of the curriculum. 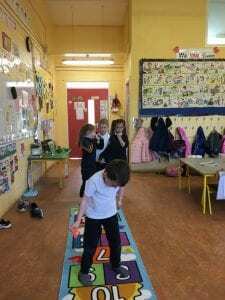 In the infant room, the children have been enjoying playing hopscotch in the classroom and solving simple addition sums.